Home » .News » Do your favorite characters shop at Hot Topic? Do your favorite characters shop at Hot Topic? FEB, 2011 – I really shouldn’t joke about Hot Topic because some of my own badass wardrobe has come from there. 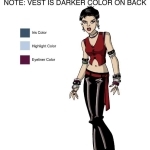 As a reader of WONDER WOMAN and VAMPIRELLA, and formerly of ANITA BLAKE, I noticed a similarity in their character/costume designs. I tweeted in half seriousness that Wonder Woman and Vampirella must have gone on a shopping excursion to the same mall in New Jersey because it’s the only way to explain what has happened to these powerful feminine icons. The characters are also going through a similar story of “amnesia” and rediscovery of who they are. Last month, I was lucky to receive a copy of THE ART OF VAMPIRELLA to which one of my friends contributed. It’s an oversized coffee table book published by Dynamite Entertainment. They also publish the new VAMPIRELLA comic book series with art by Wagner Reis. 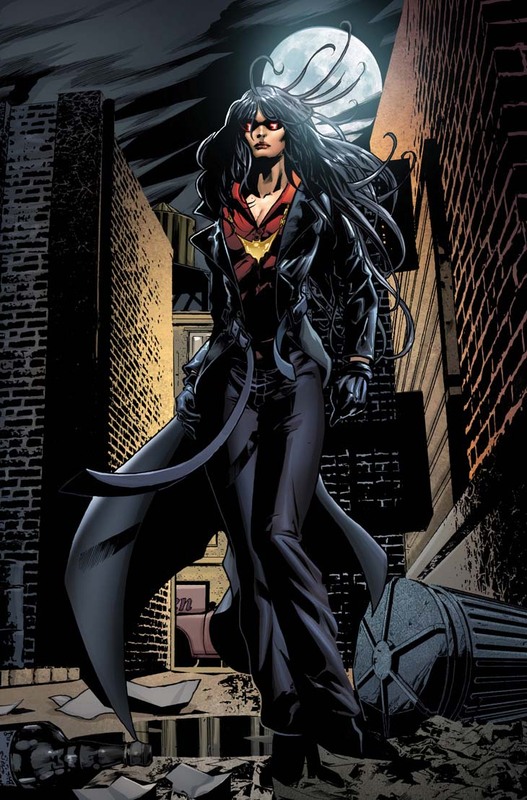 This isn’t Vampi’s first time being “rediscovered.” Most notably, Warren Ellis changed her entire origin; however when he did, her look remained. There are hardly any design changes to Vampirella, a femme fatale that dominated the monster magazines of the 1970s. 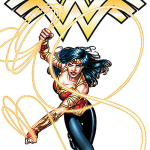 Wonder Woman is most recognizable in the star-spangled “bathing suit” design even though she’s gone through many changes. With the exception of her gladiator styles and that 90s black strappy version we’d all like to forget, Princess Diana of the Amazons had always been represented as the United States liaison to Paradise Island and her personal style reflected as much. No point in debating the good and bad of the 2010 Jim Lee design since it’s already established that it won’t be around much longer (according to Previews catalog solicitations). 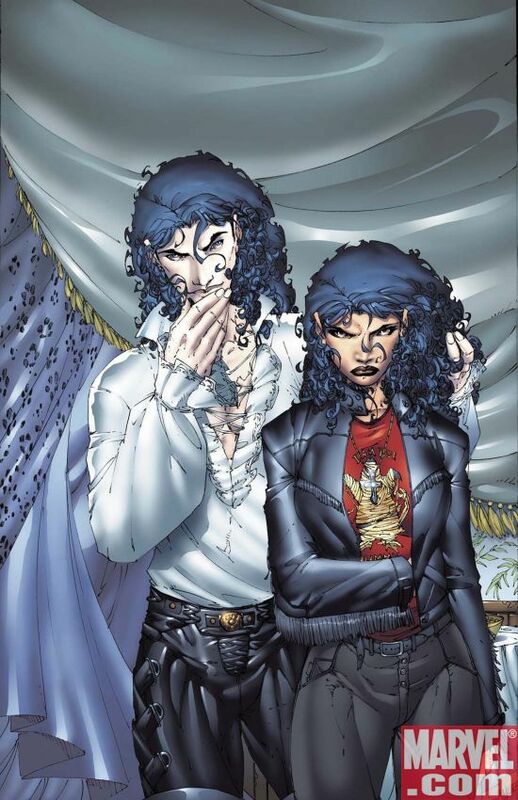 It is worth pointing out that the publishers have entered a trend of homogenizing these once distinctive characters whose looks reflected their personalities into boring goth-punks that belong in a teen drama on basic cable. 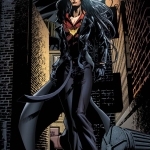 I mention the character Anita Blake because she is a street level crime solver/fighter. 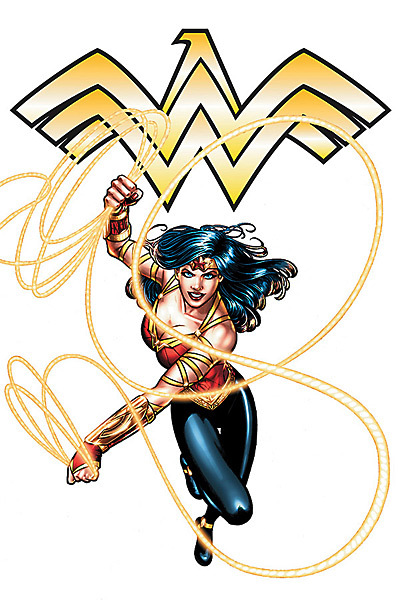 Her design has been consistent in the comics but she hasn’t been around all the long debuting in graphic format in 2007. Anita Blake is the creation of Laurel K. Hamilton whose novels are being adapted into the comic book medium. Her outfits do change like an average woman’s daily wardrobe but quite often it’s black pants, red shirt, and black jacket. She’s generic and there’s nothing about her costume that would indicate who she is. Maybe she needs pouches! For good measure I’m throwing Scarlet Witch/Wanda Maximoff into this mix. 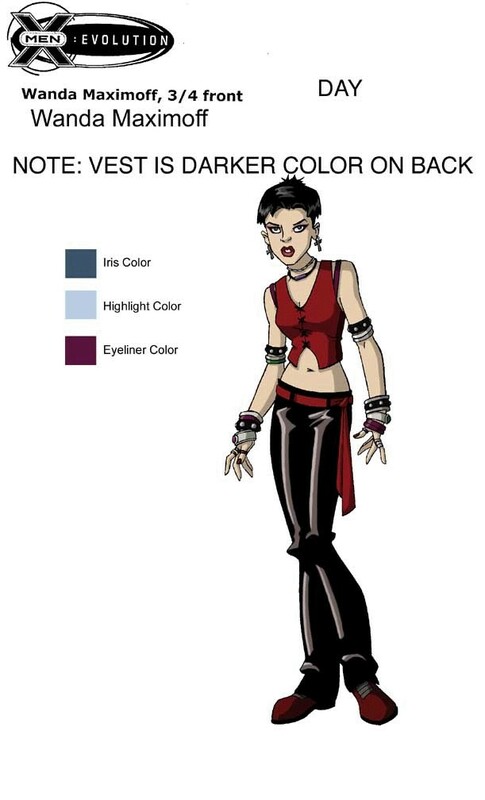 Her costume in the animated series X-MEN: EVOLUTION was all red but her street clothes were red and black. Magneto’s daughter did break the mold in one regard. Her long brunette locks were chopped into a severe Patti Smythe/Pat Benatar shag which was recolored black with scarlet highlights. Perhaps the trend is pushed by our modern fashions influencing the comics rather than the comic creators presenting characters beyond ourselves. They want them relatable on a emotional level and they are translating that providing simple couture fans can obtain from shopping off the rack. We might not understand the great burdens of super powers but we certainly relate to overwhelming days that propel us into weekends of retail therapy. 4 Comments on Do your favorite characters shop at Hot Topic? 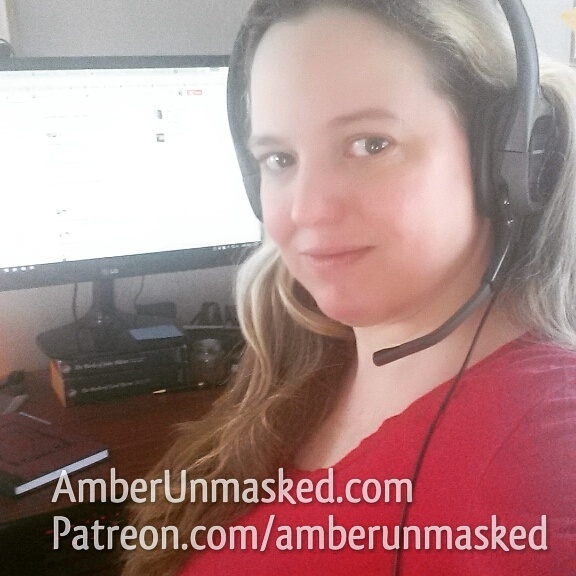 The new looks are specifically designed so that ‘real woman’ (noting that most of Hollywood’s acting community does not honestly represent ‘real people’ to begin with, but they do in their world); i.e. : Actress #3263827… Would not only fit into the new costume design and ‘look heroic’ but do so without having to spend hours upon hours in a makeup chair adding double-sided glue, latex, and who knows what to keep the artificial body-costume on her. (Think of Vampi’s gravity/physics defying outfit – can you imagine an actress trying to RUN in that or have a fight scene without a ‘wardrobe malfunction’). FOX did this with the first X-Men movie – putting the actors in leather jackets/pants with a splash of color in order to give the actors some uniform look (some called them the MUTANT’S ANGELS and I even read one comment on the costumes as CHARLIE-X’s ANGELS). Look at the flack that the GREEN LANTERN movie is getting already for the costume that Ryan Reynolds wears – that he does not look serious in that skin-tight outfit… Then again, I don’t think DC has or will ever make a good movie based on any of their properities (and, no – I did NOT like any of the Batman films – The Watchmen was close to being as good as it could get). I agree…Wonder Woman with pantsand a duster…really? They ruin the character for real fans, to make it palatable to a bunch of kids that probably won’t even dig comics anymore once they’re out of high school. I think the point of turning goes back to the first X-Men movie. I think a lot of artists and writers saw that no matter how iconic a character’s clothing may be, it’s what’s in the costume that makes the character. Is Wolvie any less Wolvie in black leather as opposed to the classic blue and yellow costume?? That being said though, in comics, I think costume changes should always be driven by story, not wow factors. For instance, when Diana Prince became more of an international spy, it made since that she wore the all-white outfit. Changing just because they need to bump sales is never a good thing. Isn’t that kind of what New Coke was all about? To drive up sales among the young who tended to prefer Pepsi? Decisions like you’ve described never go well.